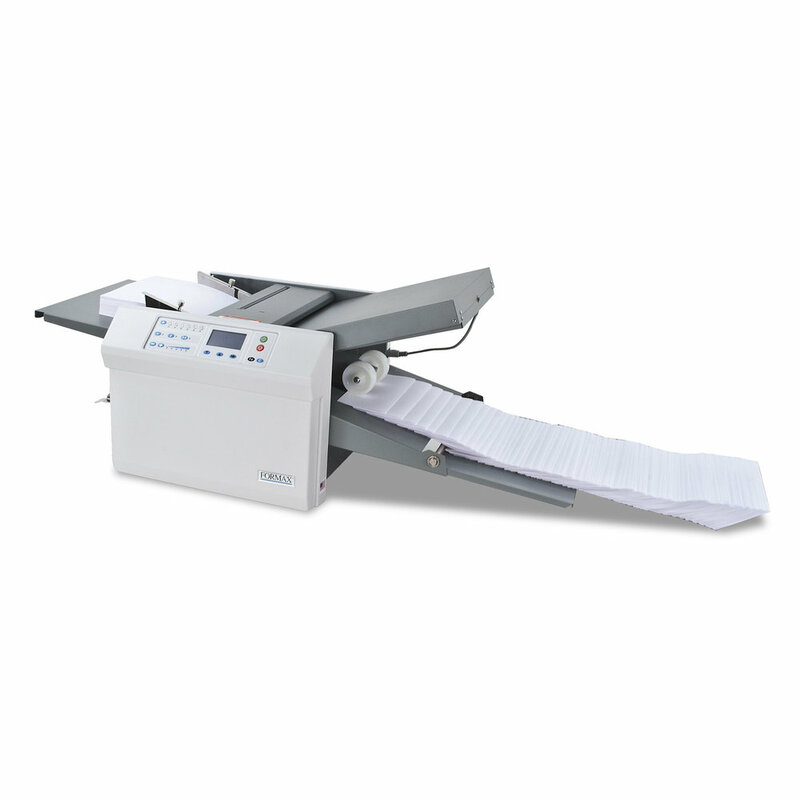 The Automatic FD 382 Document Folder offers any business, church, school or print for pay center quick, easy set-up, and the versatility to complete a variety of fold jobs in minutes. Jobs are completed exceptionally fast with the FD 382, folding up to 20,100 pieces per hour! Fully automated fold plates provide one touch setup of the 18 pre-programmed fold settings or for choosing one of the 25 custom folds that can be stored into memory. In addition, the new 2.8” (71mm) backlit LCD display and control panel makes the FD 382 extremely easy to use with a step by step user interface that is second to none. Operators can load up to 500 sheets in the hopper, select their fold, press start and walk away to attend to other important tasks. The FD 382 will fold the 500 sheets in as fast as 2 minutes and hold the folded pieces on its patented Telescoping Conveyor System. The patented Multi-Sheet Feeder is an optional feature that allows up to 4 sheets stapled or unstapled to be folded at one time through the dedicated feed system with its own side guides and skew adjustment system. The large 2.8” (71mm) backlit LCD display and user friendly control panel allows for untrained operators to walk up and start folding with little to no instruction. The FD 382 advanced software allows for all standard fold types and paper sizes to be customized to meet your particular needs.